The Shisato Mirage Onyx is a lightweight Japanese V-10 Cobalt steel shear Hand-forged in Korea with a Beautiful black Titanium finish. The handle is extremely comfortable offset with a permanent finger rest. 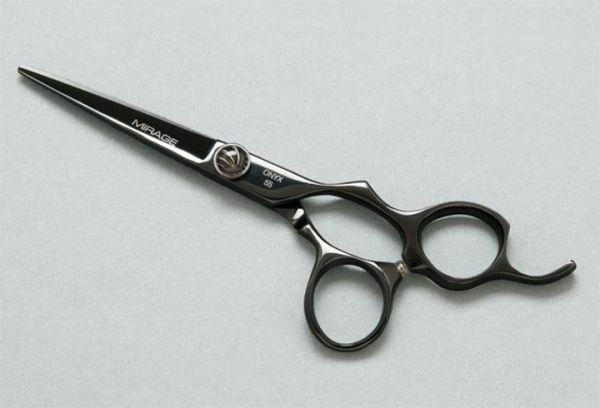 The Mirage Onyx is a High-quality shear which delivers a silky cut and offers great comfort. Tension is a click-dial adjustable system. The Mirage Onyx is designed with a convex edge, and hollow ground blades.